Interns Over 40: What Can You Do To Keep Your Resume Out Of the "B pile" ? What Can You Do To Keep Your Resume Out Of the "B pile" ? Astronomers define a black hole as a region of space from which nothing, including light, can escape. I have often heard job seekers refer to the application process as a “black hole where resumes go, never to be heard from again.” Did you ever wonder why this is? Considering the frustration that can result from the online application process, I would like to shed some light on what really happens when you apply online. Not only will this provide you with an effective strategy to increase the odds of getting your resume into the right hands, but it might actually increase your level of sympathy for the HR professionals around town – ok, maybe just a little! According to the Bureau of Labor Statistics (BOL), there are 6 job seekers for every opening. This is the worst ratio on record since the government starting tracking these numbers in 2000 and compares to a ratio of 1.6 to 1 in mid-2006. To gain an understanding of how this imbalance affects the hiring process, let’s take a look at what happens when a new job is posted. Today, each new job posting elicits an average of 300-400 resumes. Some companies use software that automatically screens resumes for relevant key words. However, most ( ex.San Diego companies) use an actual person to screen resumes. Therefore, assuming the average HR professional spends 20 seconds reviewing each resume, they are committing over 2 hours to the identification of the top 5-10 resumes. Multiply this by 10 or 20 positions – the average number of openings managed by each HR professional - and they wind up spending 20 – 40 hours just screening resumes! And for those of you who know people in the HR profession, screening resumes is far from their favorite pastime! Keep in mind that this same individual is most likely responsible for tracking and organizing these applications through their applicant tracking system (ATS) which, in some cases, is nothing more than a file folder, an excel spreadsheet, ACT! or a simple Outlook file. It is now time to divide the resumes into the proverbial “A pile” and “B pile”. In some instances, there are literally two piles and in other cases, applicants are tagged as “hot prospect” (A) or “reject” (B) in the ATS. The all-powerful “A pile” represents candidates that were referred by an employee or “friend of the firm” and in some cases, it also includes the top 3-5% of online applicants. These “A pile” candidates will receive further consideration and perhaps even a phone call. The dreaded “B pile”, however, consists of the remaining resumes that will never again see the light of day! Unfortunately, if you were not able to secure an introduction into the firm, if you did not customize your resume to include the relevant key words, or if your resume does not offer that initial “wow factor”, chances are you will be sent to the “B pile”. Once these piles are created, depending on the company, the HR professional will take one of two steps: she will either present these “A candidates” to the hiring manager for review or she will conduct an initial phone screen (in today’s market, the majority of first interviews are conducted by phone). Now the fun really begins! The next challenge facing the HR professional is whether or not the hiring manager provided enough detail and metrics to evaluate the applicants. Assuming the answer is yes – and this is a big assumption – the HR professional then presents his recommendations to the hiring manager to determine which candidates will make it to the holy grail of job search – the in-person interview! Now the waiting begins. This waiting period may span from a few hours (not likely) to several weeks (a bit extreme). Once the decisions are made, the process continues with interviews, feedback, questions, more interviews, references, salary negotiations, background checks and finally – hopefully – an offer. Meanwhile, back on the resume front, for those individuals whose resumes did not make it to the “A pile”, your poor resume is still sitting all alone in the company’s ATS, on their desk, in a file folder or in someone’s inbox. The odds of you getting an email – or heaven forbid an actual phone call – thanking you for taking the time to apply are minimal at best. In fact, while a few “best in class” companies will respond to each and every applicant, the average response rate to an online job application is less than 5%! The first question, then, becomes: what can you do to ensure your resume doesn’t wind up alone in the “B pile”? 1. Apply only to those jobs where you possess 85% or more of the requirements. 2. Customize each resume to include every key word that is mentioned in the job description. 3. Develop a headline that provides a “wow factor”, uniquely defining your area of expertise. 4. Create 3 or 4 key sentences at the top of your resume to highlight your Unique Value Proposition (UVP). 5. Focus on promotions, results and direct contributions, not responsibilities and tasks. The second question, and the one rarely considered, is: what can you do to ease the pain of the HR professional? 1. Focus on securing an introduction to the company through a mutual colleague; contact the hiring manager and/or HR professional to leverage the contact and get yourself on the radar screen. 2. Clearly indicate how your skills match up with the job requirements – don’t make them search for your relevant skills. 3. If you are unable to secure an introduction, call the HR professional and/or hiring manager 2 days after sending your resume, to ensure it was received; during this call, acknowledge that you are aware of the volume of resumes they have received, and request “5 minutes to provide 3 factors” that will demonstrate your fit for the position. 4. Send a thank you/follow up card by mail to the HR and/or hiring manager reminding them of the “3 factors”. 5. Develop a campaign to follow up with the HR and/or hiring manager on a weekly basis. Have you take 7 Minute Career Test? Its Free:). Take It Here. Want to know how to improve your Next Job Interview?. Learn More. Do you really have examples where calling the HR manager has been successful in getting an interview? If you respond to a job ad via HR then you'd better meet 100% of the criteria - 85% won't cut it. Even 100% may not be good enough - you also need to meet several unposted criteria. The article does indicate why it is generally a waste of time trying to work through HR. Instead, spend your energy finding and impressing the actual hiring manager. Play that right and he will tell HR to hire you - then you become the #1 candidate rather than one of hundreds. I would caution against too much follow-up with HR. If they say they will get back to you, they should- you don't want to be seem as overly persistent, which is a turn-off to HR folks. Also, many companies have specific processes to follow about going through someone in Recruiting so I would also advise that, while it's always good to have other contacts in a firm you are interested in working, you should not make an effort to circumvent Recruiting, but rather work in tandem. Since nobody likes to wade through a pile of resumes, the job is given to the least senior member of HR. That person is also the least likely to understand what the company and hiring manager wants and needs. So lots of good candidates fall into pile B. There are often misunderstandings between HR and the hiring manager about required skills, especially for technical jobs. Unrealistic lists of qualifications get created. For example, HR asks “are there any other skills that you’d like” and the manager answers “well, it would be nice if they know the ABC software package and the XYZ software package”. Neither software package was vital for the job, but now they become disqualifiers during the candidate search. Not only are more resumes mistakenly sent to pile B, but potentially several good candidates didn’t even apply. The odds are so stacked against you that there’s really no point making first contact by answering job advertisements. Use the advertisement as a clue to a possible job, then research the company and search out inside contacts. If the job still looks good, go ahead and follow HR’s procedures but get one of those contacts to submit your resume – do not use e-mail or another impersonal source. I have to agree with Anonymous when they wrote about misunderstandings as to what skills are required for the job from the hiring manager. Often, when I meet someone who does work in HR, I ask them if they've held the job they're hiring someone to fill. The answer is almost always "no". Thus, it becomes having a person review your qualifications who really can't relate to your resume. I haven't read any online source who can give me a method for getting around this problem. As a result, I would say that you've got to get your resume inside to the hiring manager who DOES know what skills are needed. Nothing guarantees that you will be able to talk with the person directly but there are methods; calling later or earlier when no one else is around to get through, etc. I think this is a well written article. I particularly would emphasize the comments about ensuring the top of your resume contains a great synopsis of who you are and what your skill set is. Definitely customize your resume to include the key words and phrases in the job description. While I agree with the advice to find a contact within the organization who can refer you internally, I do not recommend trying to get in touch with the recruiter if you do not know him or her. Recruiting departments are simply not staffed at the levels required to allow time for these kinds of informational phone calls. It is sad, but it is true. Gone on the days when you walked into an organization, filled out an application, and spoke with someone from HR. 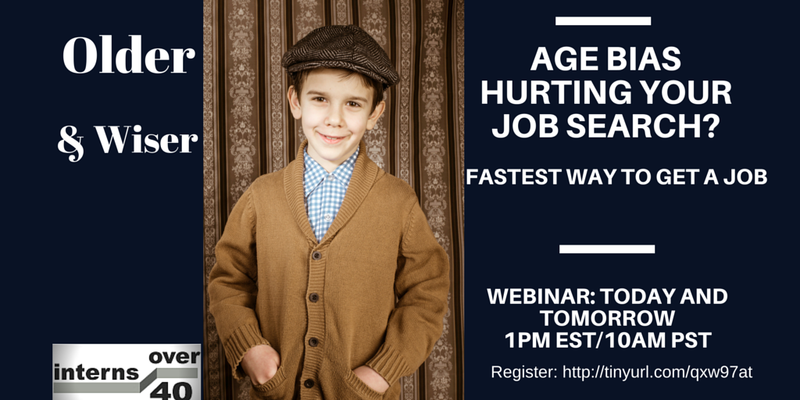 Focus on the advice that will get your resume flagged in the applicant tracking system. Don't get discouraged if you don't get an interview for a job you are qualified for - there are far too many qualified applicants in the current economy. Also, focus on networking with your peers in the industry so that you will be the one with the internal referral. Recruiting departments really do pay attention to referrals. This article had some useful points. However, It seems silly to me to put the same keywords in your application as was in the job description. Then it just seems like your copying it. Should you not try to boost your application with new and revamped keywords. Also, I have had little luck calling the HR manager but that is just me. Like you said they are busy and are probably spending most of their time just trying to get through the resume pile. I read this blog.It really informative for us.Thanx to share with us.I really like to read this blog.It give me informations to make best resumes. Even today, nearly 2 years after this article 1st appeared, it's spot on. Everything applies and will work increase your chances of being hired. I used to be a recruiter and I agree with everything said. Just a note on why companies do not respond even after 1-2 inerviews: disorganization at times, unprofessionalism at times, but most importantly, they don't want to be the bearer of bad news and/or create liability. Many applicants do not take rejection well and one person like this can really have a negative impact on the whole process. Plus it opens the door to liability /employment law so most if not all companies are very careful of this. Interesting, that's why readers really love to read every post of yours, as you can see there are lots interactions. Excellent comments all the way around!!! This post got a few valuable items. Nevertheless, It appears foolish in my opinion to put identical keywords as part of your request as was in the work information. And then that just seems like ones duplication that. Desire try to increase you together with brand-new in addition to revamped keywords. I would also advise that, while it's always good to have other contacts in a firm you are interested in working, you should not make an effort to circumvent Recruiting, but rather work in tandem. Resume should be in a professional and in simple format. Never try to decorate it. Resume Should be in a professional way and in simple writing. I think many people are missing the point regarding resume content. Often the first "person" to "see" or scan your resume is the computer (or applicant tracking system). If the key words that are present in the job posting are not in your resume, the ATS isn't going to forward your resume to HR because the computer doesn't see your resume as a match to the job posting. Think in terms of binary code -from the computer's perspective, using words different from the job posting just won't work. Good article. As an out-of-work, over 40 Recruiter, I have to say that I am one person who does review each and every resume that is submitted for positions that I'm responsible for filling. That's my job! Yes, I always put in way more than 40 hours a work week, but I was hired to do a thorough job of finding qualified candidates to fill positions. Leaving this to an ATS is irresponsible. An ATS has its upside, but is only a "screener" and only as good as the info it has been provided. I find all this information confusing with all the keywords, all the customizing that needs to be done for each job. I just did some research on resumes for recruiters and there was nothing about keywords in the articles. They want all acomplishments listed. Any help is appreciated. Lots of good information in this article and lots of good discussion. I hope it helps those who are just sending out resumes to job postings understand the importance of creating a list of target companies on which to focus and creating connections within those companies. When an opening comes up this is when it really pays off! Note: And yes, even when you have an "in", work within their system which usually means following the application process as well.